On Saturday, 9th December 2017, IBB Polonia London played against London Lynx in the Super 8 league. Playing away from home, the team under the leadership of Piotr Graban, won 1:3 (22:25; 18:25; 25:22; 21:25) and enjoyed the flavour of success. The three points help the team to start climbing the table towards the top. The Saturday encounter was an east meets west of London volleyball and the first two sets went the way of the current Champions of England thanks to some good play by their main squad members. In the third set, an ongoing injury caused outside hitter Roman Mizerak discomfort and as a result he was substituted allowing London Lynx the chance of winning a set. 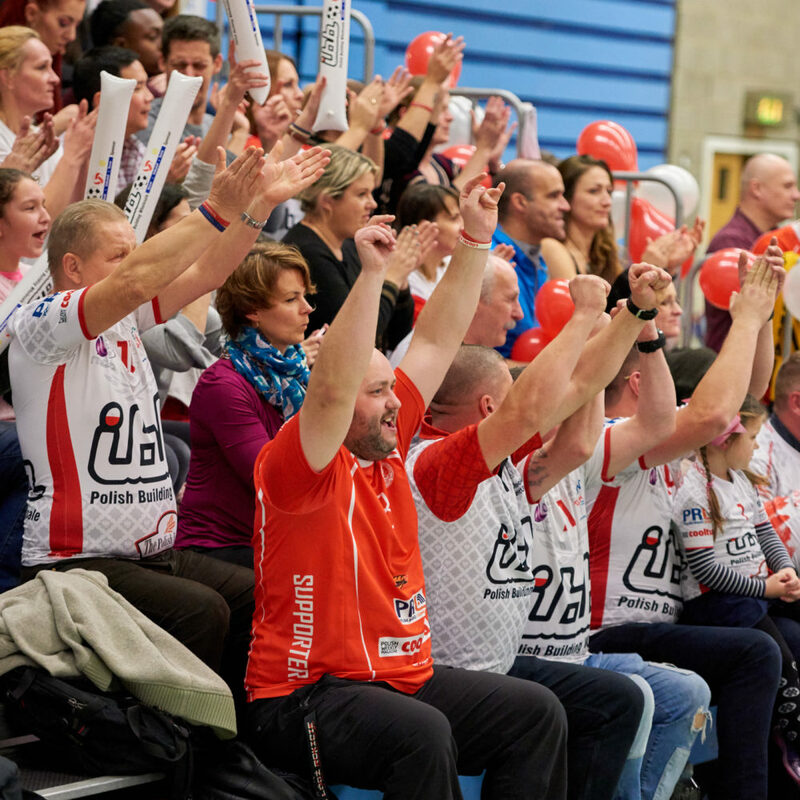 In the fourth set, IBB Polonia London came out with determination and maintained this form until the final whistle giving them the badly needed win. “Saturday’s game was not the easiest for us. It was vital we took all three points. I’m pleased we managed to do this, despite finding the challenge very hard. I want to mention three of our players who played well today: Vitor de Oliveira and Michal Bartoszak who played solidly but also one of our most experienced players Roman Mizerak. We are working hard for all squad members to play to the same level as those mentioned and also so they keep a high level of performance until the last point of the season. We still have many elements of our game to improve upon. Recently I have been enjoying the philosophy: “if you can’t run, then walk, if you can’t walk then crawl, but make sure it is in the right direction”. With this in mind we will aim to make progress every single day.” – commented IBB Polonia Head Coach, Piotr Graban. The Team presented not only good volleyball level, but also unique away shirts. The Club would like to encourage its fans to buy some memorabilia, such as the replica match shirts that are available in three colour variations. This season, as usual IBB Polonia commemorate a historical event: the design of “Niepodlegla” is to be found on the sleeves of our shirts and this commemorates one hundred years of Polish Independence gained in 1918. Orders can be made online up until 13th December 2017. After this the official personalised match shirts will not be available. The shirts are not the only current offer from IBB Polonia London. Shares in The Club are currently available. Becoming involved like this helps The Club to realise its plans of becoming a fully professional team, the first in Great Britain. For all of the benefits associated with the purchase of shares of The Club visit the website. The next match, and final encounter of 2017, will be played on Saturday, 16th December 2017. The opponents will be Malory Eagles and the match will take place at Ernest Bevin College, in Tooting South London. This is everybody’s last chance in 2017 to watch some top level volleyball. IBB Polonia London returns to competitive matches on the 13th January 2018 at Brentford fountain Leisure Centre against Team Wessex.